Horseshoe Grille has been serving delicious home smoked BBQ and delectable American cuisine to North Reading for over 89 years. "Overdue for a date night? We've got you covered." "Get your fill of our flavorful updates with our email list! https://subscribe.mainstreethub.com/email/478f81dc-a674-4458-a626-202ace14af14"
"You deserve a meal full of vibrant flavors." "Join us next month for a night of delicious food, Sam Adams beer, and cigars provided by 2 Guys Smoke Shop. Price includes tax and tip. " "If your meal doesn't make you smile, you're probably not eating here." Great service. Ice burger lettuce wedge best I've ever had!! You could make a meal out of it!! Plenty of parking. Right off route 28. Yes, I'd like to receive news from Horseshoe Grille. 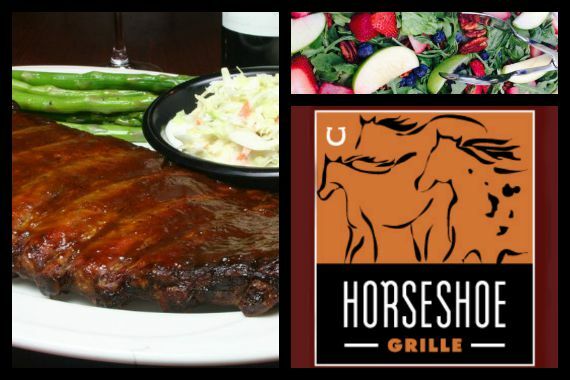 Sign up for the Horseshoe Grille Newsletter!